Take a trip to one of London’s theme parks for an adrenaline-packed day out. From thrilling rides through history, to wild animals – both mythical and real- London’s theme parks offer great entertainment for families and groups. Unlike most London attractions, some amusement parks aren’t in Central London, but are easily reached by train, coach or car. Thrillseekers will love Thorpe park. There’s rollercoasters such as Stealth, which goes from zero to 80mph in two seconds; The Swarm (the UK’s first winged rollercoaster); and the twisting Colossus. 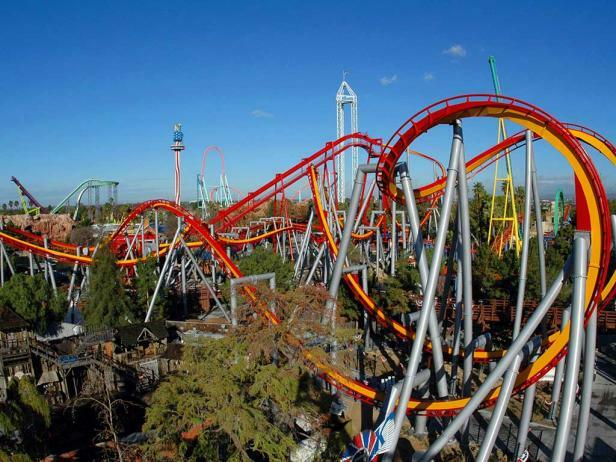 Thorpe park is the place to visit for a good time offering numerous thrilling rides. 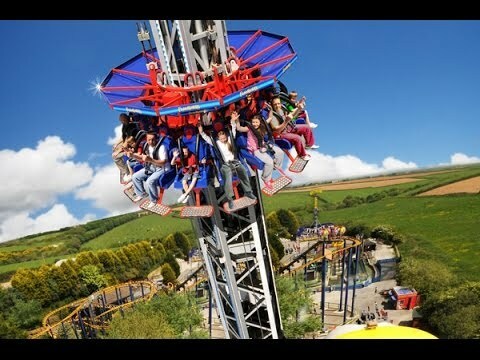 There's gravity-defying drop rides the Detonator and the Slammer, plus water rides including a log flume, water rafting, fountains and waterslides. You’ll also find speed swings, giant slides, a teacup ride, dodgems, a jungle maze and much, much more. Save money by booking your tickets online. You can have a discount only if you book your tickets online in advance. Take a scary but humorous 90-minute journey through 1,000 years of London’s history at the ever-popular London Dungeon. There are 18 interactive shows with 20 live theatre actors and two rides to guide you through the city’s murky past. Walk the Whitechapel Maze with Jack the Ripper, visit a medieval torture chamber, and be careful not to lose your head on The Tyrant boat ride with King Henry VIII! Pre-booked groups of 10 or more can enjoy the benefits of discounted admission. Sail with pirates or Vikings, get chased by dragons, uncover the treasure of the Pharaohs, visit Mia and her friends in Heartlake City and learn to drive a Lego car at Legoland Windsor. There are more than 55 interactive rides and attractions at Legoland, including Duplo Valley for younger visitors and some amazing Lego constructions, such as a model of our favourite city – London – built entirely from Lego bricks! Closed for Winter. Open March - early November. Please check Legoland is open before you visit or book your tickets in advance. A They are exciting amusement parks. C They offer a variety of rides and/or attractions. D They offer a discount if you book your tickets in advance. What does the word numerous mean? What does the the word defying mean? What does the word medieval mean? What does the word chased mean? Write a sentence about how you would feel if you were on this rollercoaster and why.